As I first started to think about how a blog could look like, I felt a bit overstrained. 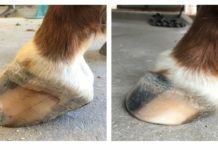 Then I thought, hey OK, normally everybody who reads this blogs is also interested in hoofs and hoofboots, so why not tell my story how I got into trimming and booting. Since I was a small child, I was fascinated by horses, but never had the possibility to have an own one. I have to admit that the interest in horses during the time of adolescence was not this big as there seemed to be more important things for me. But I turned the other way around when I became an adult. After finishing my education as a forwarding agent, I had the spontaneous idea to leave Germany and travel to beautiful New Zealand, the land of the long white cloud. I didn’t really have a fixed goal where I wanted to head to. This turned out to be a good decision later on, as I ended up at Kate’s Riding Center in Kerikeri, in the north of the north Island. Until that day I had nothing to do with hooves at all. Like many people, I thought a hoof needed to be shod, no matter what. But the people at KRC taught me the opposite. All horses were barefoot and they moved without any problems. I got a Shettland Pony there, trying my first trim. It took me ages and loads of sweat, but in the end it was a good trim for the first time. So I started to become more interested in the whole stuff and it fascinated me to see how fast the horses turned sound again after a hoof abscess or hoof injury and only because they had to move every day and lived in huge paddocks all together, and were handled naturally at all. As these people said, “no improvement without movement,” and today I know that’s true. I still had not heard of hoof boots. After my return from New Zealand I decided to start a hoof trimming education and at the same time I bought my first pony. 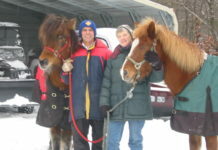 I soon rented a little Western stable and decided to leave all the horses barefoot which worked out perfect. 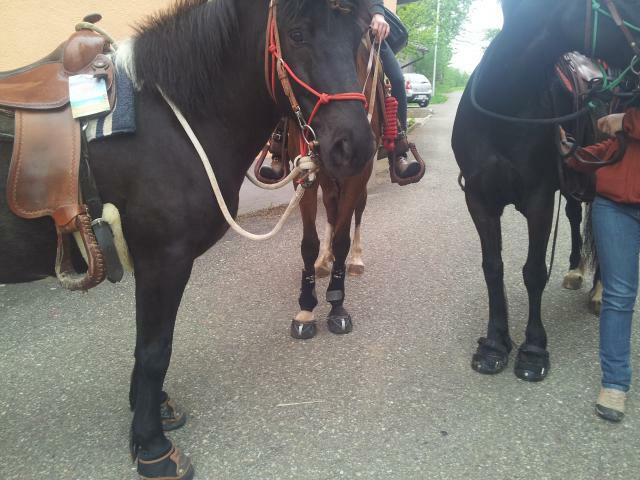 When we went outside for a ride, the horses preferred to walk on the grass on the side of the road to avoid stony ground. I never really minded it but have to say now that it’s much more fun for horse and rider having hoof boots as your horse doesn’t have to go off the road. By accident I saw an advertisement on the internet “How to become a hoofbootcoach”. I looked up more pictures and information about Easycare and hoofboots and decided to absorb this additional education, also with the thought of offering my customers a wider range of service and an alternative of shoeing. 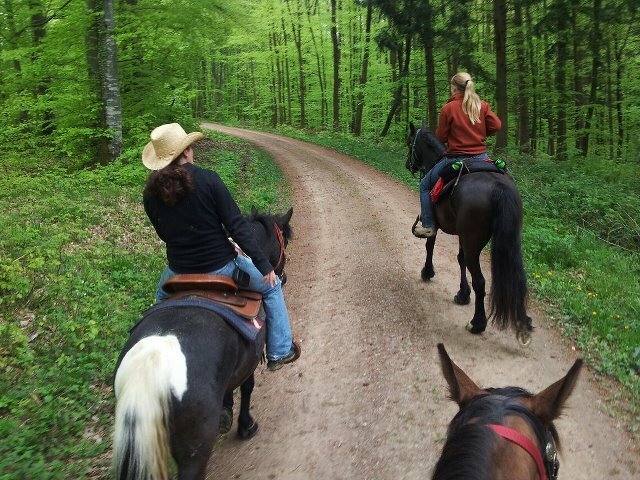 I need to say, that in my region in the deep south of Germany we haven’t much distance rides like in the US, and boots are not widely seen around here. We have a lot of show jumpers and dressage and these people believe in irons. 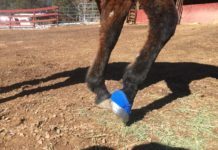 If you mention hoof boots they tell you that they already tried some but they came off, that they’re difficult to put on and off and too expensive anyway. And often those guys only bought a boot without knowing much about and obviously most times the wrong boot for the horse. Last October I gave a lecture on the entire Easycare boot line and people became bit more open minded about it. So a few days later the first one called me for a fitting. I started ordering more different sized samples of the different boots, as I couldn’t afford to buy a pair of every single boot and size, II bought only one of each. 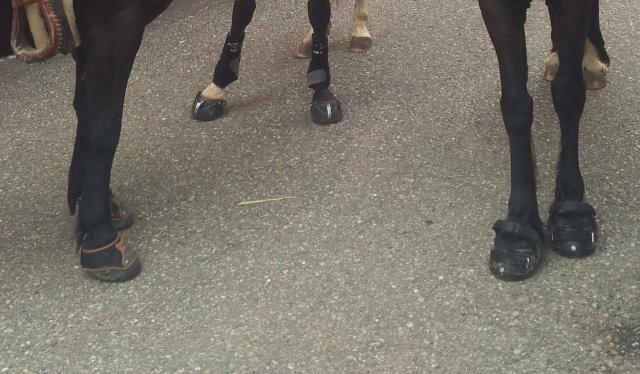 But it doesn’t bother me at all by fitting, as for me it turned out wise to put two different boots onto the hooves so you can see quite fast which one has a better fit or the horse likes more. 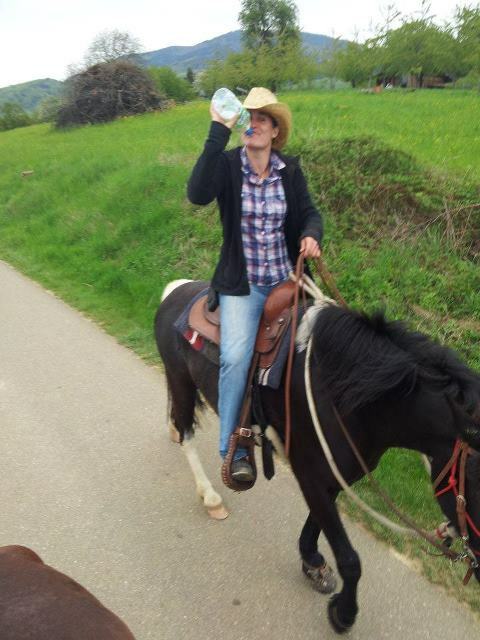 I rode the my Pony with the Easyboot Glove Back Country and it’s amazing where you can ride in these boots. Thanks to Easycare for this new invention. I really can say that their inventions only got better and better, I really like the Glove, but since the Back Country is on the market it’s the better one for me and the bestseller to my customers. I sold two pairs to a customer not long ago and we really underwent it a hard test. But maybe I can write another blog about this later on. Suffice to say that I’m really glad having choosen this road. It changed my mind about hooves and horses and my goal is to meet more people who are open minded enough to give it a try and getting a happier horse. Because I gave it a try and it turned into passion and lifestyle for me and I really won’t miss it.